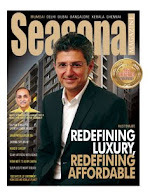 Seasonal Magazine: Suzlon - The Power Stock to Bet On in 2011? 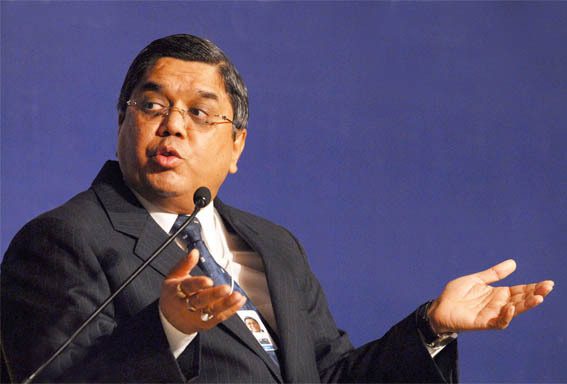 Suzlon - The Power Stock to Bet On in 2011? Suzlon Energy Ltd (BSE: 532667, NSE: SUZLON) continues to generate confusing signals for traders, with recent positive developments like the Gamesa stake-sale buzz, creation of JV with Affinity Wind for US expansion, re-rating to 'Overweight' by JP Morgan etc on one side, and the troubling debt levels that continue to haunt the wind power major on the other side. Meanwhile, new orders continue to pour in for the company like the recent orders from Sterling Agro, Vedanta Group, & the 1000 MW project with Gujarat Government. At the same time, none of these long-term orders are enough to take the company beyond the threshold sales needed to overtake the debt burden, at least in the short-term. However, from an investing viewpoint, this Nifty constituent is definitely a major stock to watch-out for, not only due to its current beaten-down status, but due to its immense potential if it can really turn around things in the quarters to come. This potential is evident from its not-so-long-back history, before the global slowdown hit it. It is doubtful whether any other first-generation Indian company had more wind in their sails during 1995-2008, than Suzlon. Without any family background in power business or big business, what Tulsi Tanti did was nothing less than miraculous. Within a short period of 15 years, Tanti transformed what was a small scale industrial unit - with 20 employees - doing a then not-much-understood wind power turbine manufacturing in Pune, into the world’s third largest wind power company, with 16,000 employees across 25 countries. The scale at which Suzlon was growing would have made even Reliance Industries Ltd (BSE: 500325, NSE: RELIANCE) nervous. For example, in FY’08, Suzlon grew its income by 73%, and not only that, it was a quality growth as it expanded its wings across the world, conquering each advanced market with seeming ease - both organically and through acquisitions. The profit growth was also decent at around 20%, considering the cost of expansion. Net profit went above Rs. 1000 crore for the first time. Buoyed also by the stock market boom, Suzlon scrip climbed to unprecedented heights of Rs. 2300. It was a good appreciation to 360%, from the 2005 IPO price of Rs. 640. Within three years, it was high-power wealth creation. Enthusiastically, Suzlon also went for a 10/5 split. However, the very next year, FY’09, signalled trouble for Suzlon. Many critics warned that Suzlon was trying to grow too fast, accumulating massive debt, even in face of the massive slowdown that was then coming up on the world infrastructure space. But Tanti went on with his acquisitions, maybe in the hope that demand would again pick up soon, and by that time he can make Suzlon the second-largest wind power company, if not the first in the world. Though he succeeded in doubling sales to a whopping Rs. 26,258 crore in FY’09, profits nosedived to just Rs. 236.48 crore, a 77% fall year-on-year. The former year’s split also came to bite on the EPS, which fell to a measly Rs. 1.52, from FY’08’s Rs. 6.89 and 07’s impressive EPS of Rs. 30. Even worse was in store for Suzlon in FY’10. For the first time in its listed history, the innovative company went into the red, as it registered a disturbing Rs. 982.56 crore net loss. Within just two years, Suzlon had gone from Rs. 1000 crore annual profit to nearly Rs. 1000 crore annual loss. EPS was deep in red at Rs. -6.39. Even Tanti’s strategy of growing sales come what may, didn’t help in FY’10, as sales also dipped by over 21%, which was also a first in its listed history. Ever since then, the company has not come out of the doldrums, even though Tulsi Tanti has started correcting many risky strategies by divesting some acquisitions and by paring debt. Still, with a debt of Rs. 12,000 crore and a debt-equity ratio of around 1.5, the apparent outlook remains grim. So, why should anybody be bullish on Suzlon? Firstly, the valuations are quite attractive. On a consolidated book-value of Rs. 42.40 (as on March 2010), Suzlon now trades at a P/BV of just 1.25. In its official segment of ‘Engineering - Heavy’, this fares quite attractive as 25 out of 29 peers have a P/BV above 1.25 times, with 10 majors even demanding valuations above 5 times P/BV. Even in related sectors like ‘Power - Transmission / Equipment’ and ‘Power - Generation / Distribution’, it is rare to find a company with this P/BV, as 30 out of 34 companies in these sectors - including PSUs - are trading well above these levels. Secondly, compared with many of the lethargic listed companies in the power or engineering sectors, nobody can ignore the fact that Suzlon is an international franchise in wind power, that makes it an attractive take-over target for strategic investors, if not for pure private equity players. The recent speculative price - Rs. 71 - said to be offered by Spain’s Gamesa for a 51% takeover of Suzlon proves this. With the growing focus on carbon credits for large corporations across the world, Suzlon’s core business remains hot and will pick up wind, once the international recovery is in full swing. The recent Vedanta order bagged by Suzlon for 150 MW projects, and the new JV in US shows that the momentum is not lost, but in full recovery mode.